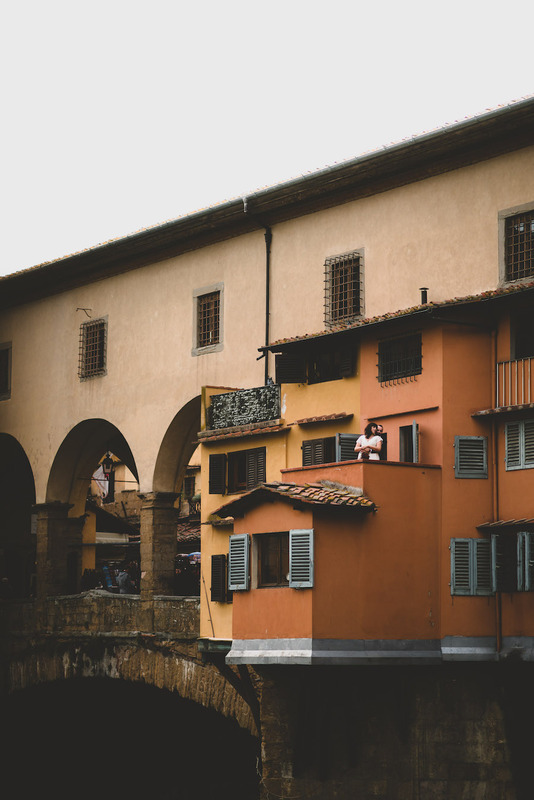 When most people think of the Ponte Vecchio, the oldest bridge in Florence, mentally they transform into one of those most iconic of Italian locations. An ancient medieval bridge spanning two sides of a city, its arches gleaming in both the morning’s earliest lights and glowing in the nightly sunsets. 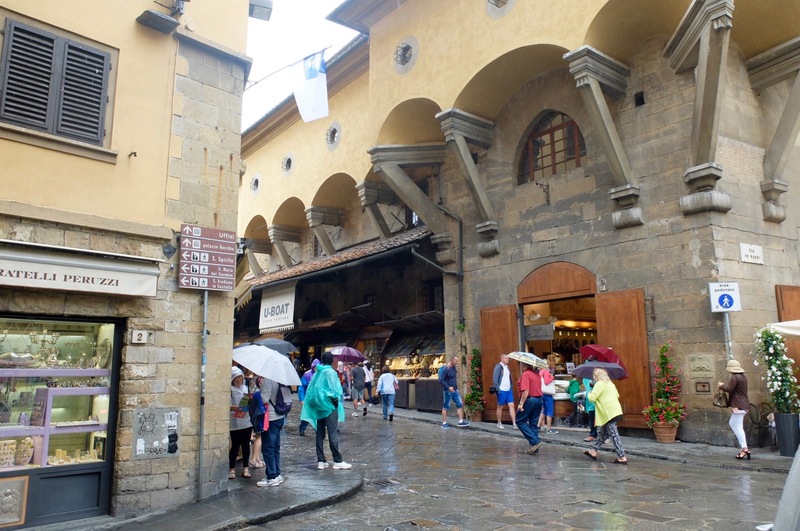 The stores are historically known to sell gold, as it was famously said that the Medici Family’s creation of the Vasari Corridor spelled the end for the former residents of the bridge, butchers in favor of the more pleasant-to-the-nostrils trade of selling gold. I walk across this bridge every single day if I’m in Florence, we live in the Oltrarno, the other side of the river, so I often find myself rushing past throngs of happy go lucky tourists. Sometimes my dog Ginger finds a playmate to the delights of the bridge’s guests on one occasion, and perhaps I’m trying to say “not yet” as my dog delights in doing her business at famous Florentine monuments. Window shopping here is priceless, yet the actual baubles on display are a little more pricey than my humble wallet can afford. At night, there is often live music, travelers sit down on the central steps by the bridge’s arches as they listen to the musical rendition of whichever busker calls the Ponte Vecchio its stage for an evening. However, since my good friend Hoda, an Iranian native started working at one of the shops, Fratelli Peruzzi. I had long written off the shops there as for richer tourists, a bit like the entire via tornabuoni. Fun to look at at, but for the normal person, out of reach. However, I wanted to learn a little more and put my personal bias on the back-burner. 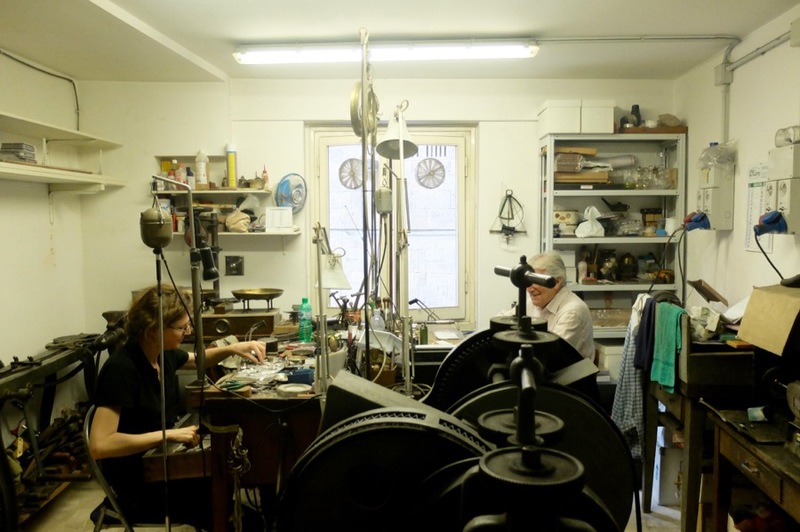 Fratelli Peruzzi is a silver-shop, in operation since 1860, is one of the oldest workshops in the city opened by Giuseppe Peruzzi and left up to Gianna and their sister-in-law Laura, who is the president of the Associazione Ponte Vecchio. Secrets have passed here through generations in the highest form of artisan craftsmanship, this is now almost a dying art that must be preserved. 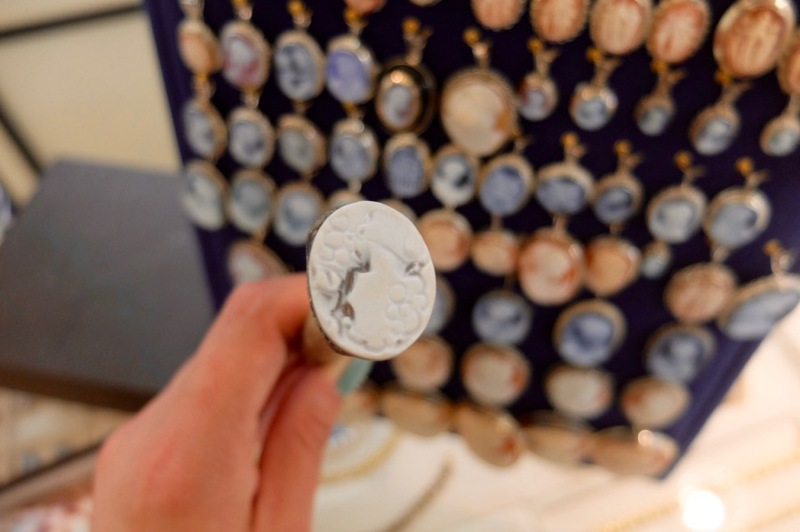 There are countless precious trinkets and home decor to marvel over— candlesticks, bell brooches inlaid in silver or gold, animals, pendants, a baby’s first silver plated spoon. The shop lies on the corner of the Ponte Vecchio and Borgo San Jacopo and another in the middle part of the bridge, an ancient crux of the city which has seen more than its fair share of history. Bombs from the Germans during WWII devastated the streets on either side of the Ponte Vecchio (check out this amazing video from 1945 or article from The Florentine) and the great flood in 1966 threatened its own special brands of devastation. 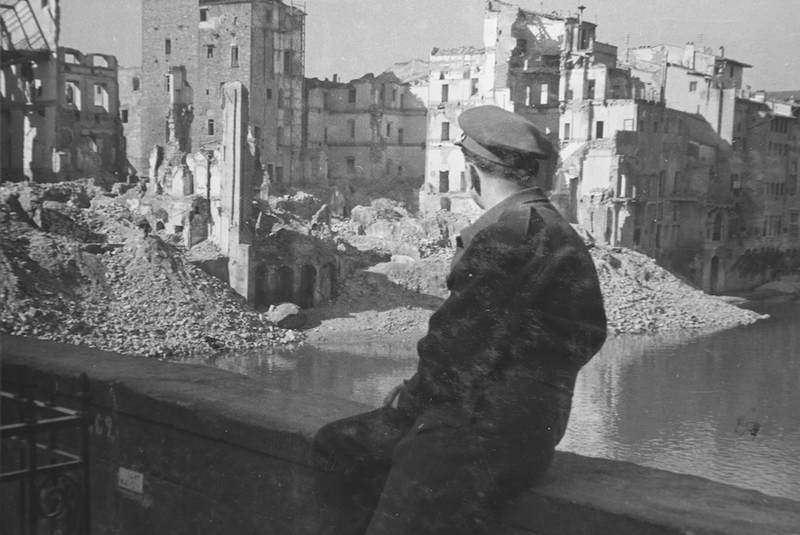 Man looking at the destruction from the Ponte Vecchio in 1945, photo credit: afs.org. 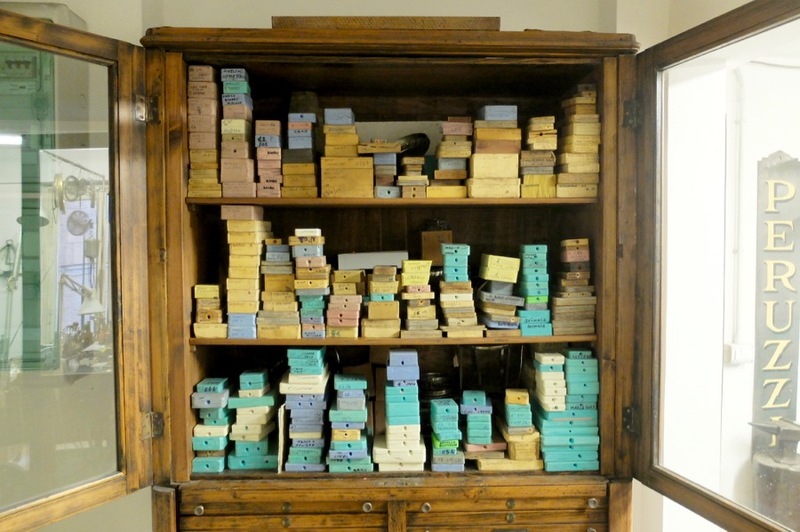 Peruzzi since than, has been able to remain steadfast, 150 years in a tiny little corridor of a shop where upstairs its two artisan’s work. 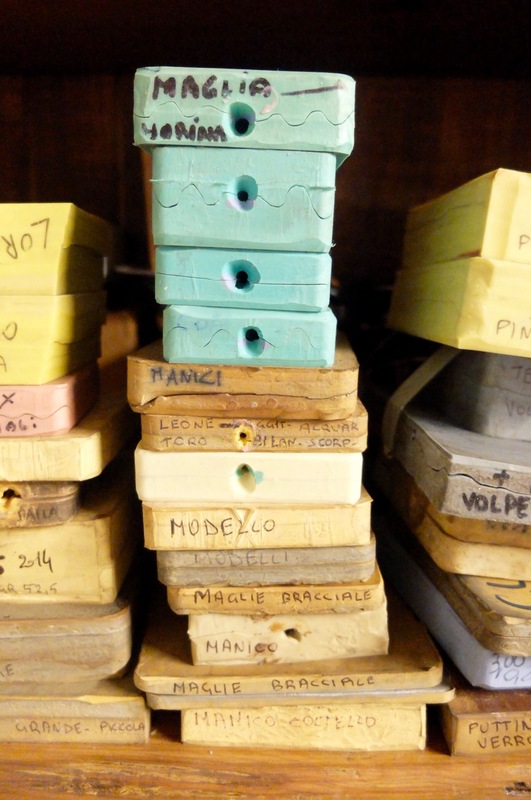 I walked up the creaky wooden staircase, into a back room to meet the hands working on Peruzzi’s own personal brand (called FI 114). 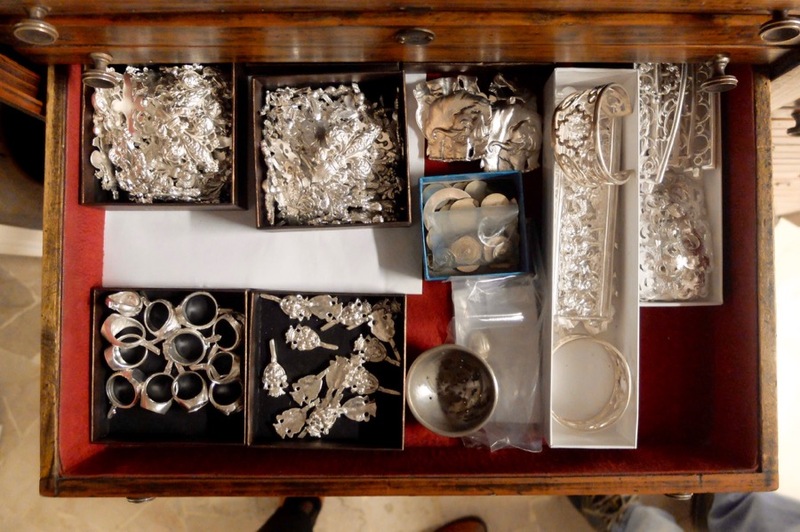 While the silver doesn’t come from Florence, it typically hails from the south of Italy, it is fashioned into items here, in this tiny little precious space. Inside Fratelli Peruzzi, check out that chandelier! 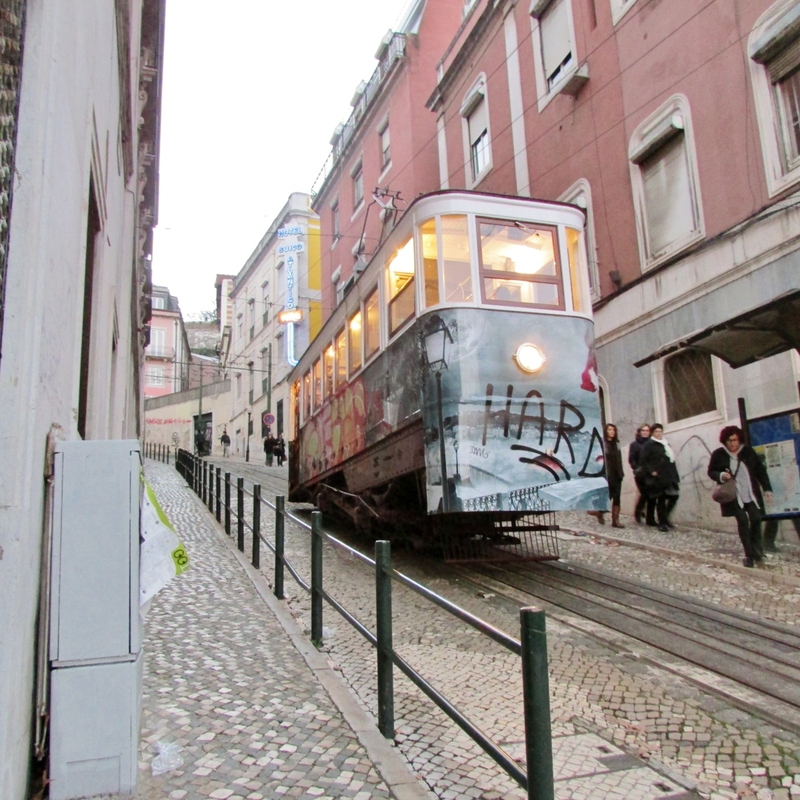 This is where I met Giancarlo, who at 81 year’s old is as spry as they come. Laura graciously showed me the small room where he worked, together with a female colleague. It’s your average Florentine studio, tiny, packed with furniture and a small workspace that is covered with items currently being worked on. 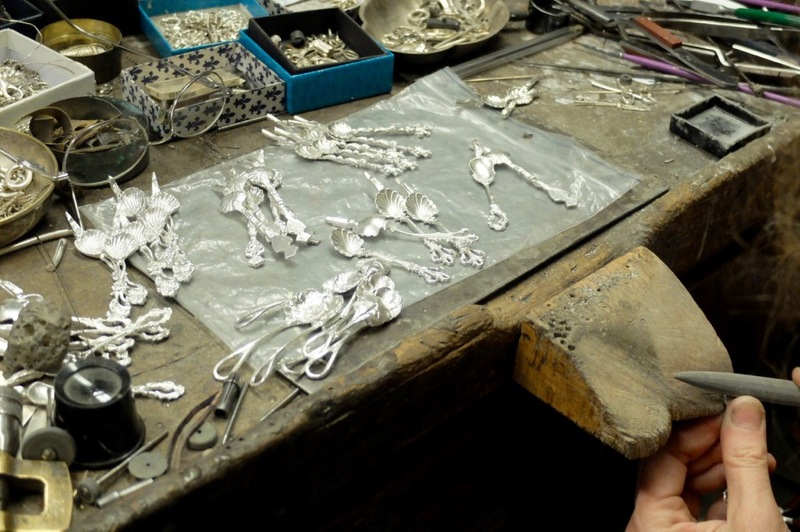 Giancarlo started working when he was 14, when it was normal to start an apprenticeship at that age, with an uncle who was also a silver maker. On one pretty shelf I spotted countless rubber plaster mold forms, where the silver is poured for one of the most important steps in the item’s progress. They’re remarkable in their own right, each one costs around 40€. Scribbled in black marker are the description of the items. of course a beautiful Florentine “giglio” lily caught my eye, the symbol of the city would look good just about anywhere, not least of all on a nice necklace (hint hint Nico). 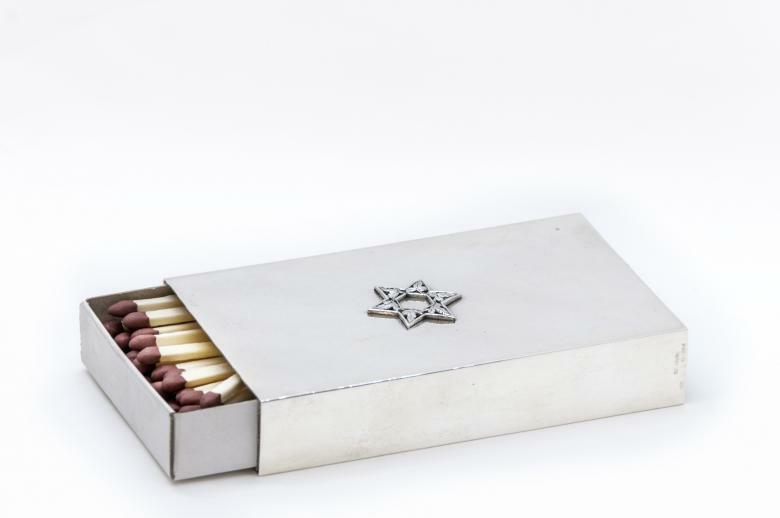 Most of Giancarlo’s work is done on a small wooden board jutting out of his desk called a “stecca,” from here he says and forms each tiny item into the finished product before polishing. It’s painstaking work however it is quite clear this is a passion project. Some take just a few hours, others days. Giancarlo’s stecca is likely filled with just as many stories as he has! Fratelli Peruzzi’s other location in the center of the Arno river also has a beautiful balcony overlooking the Arno river. Laura was gracious enough to let Nico and I take a few wedding photos there and even left us a bottle of perfectly chilled prosecco, which is a service that she now offers future couples. Just send her an email. It was a spectacular idea as some of the photos that Francesco, our photographer took there, took my breath away when I first saw them. 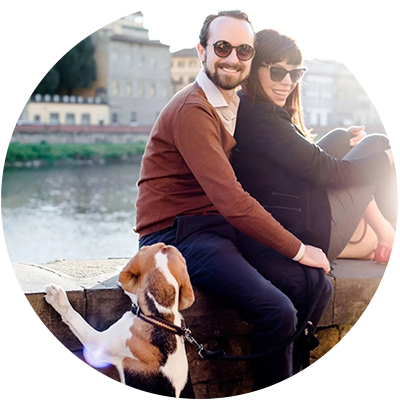 It might have been a cool November afternoon, but there wasn’t a drop of rain in the sky, and while people perused the Ponte Vecchio or rushed to their next appointment, Nico and I giggled and toasted to our nee status as newlyweds. I will always cherish the moment that we cheered to our marriage in the most special of Florentine locations. For Nico and I, it will never just be the Ponte Vecchio but it will always remain our bridge, the one we walk over every single day. ph. +39 055 292027 – www.fratelliperuzzi.it, facebook. That was lovely. Thank you. I also may have to have that lily the next time I visit Florence. Giancarlo sounds like a sweet man. 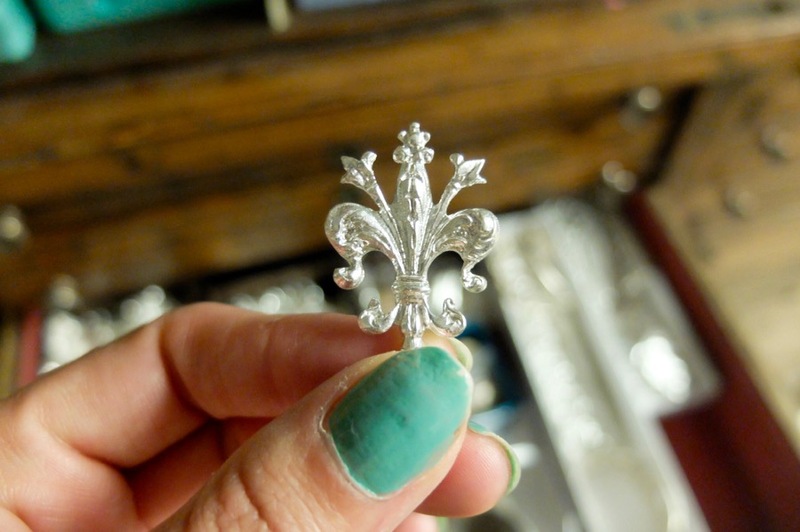 That lily was my favorite as well, can’t beat this small icon of Florence. Giancarlo is a wonderful man, full of life and always smiling. It was a privilege to spend a little time with him. Nice article, Georgette. 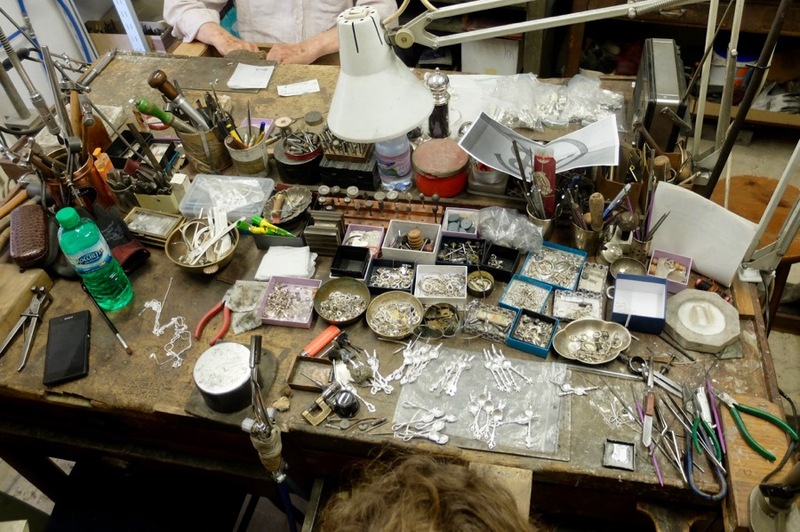 I usually don’t bother looking much in the traditional jewelry shops so famous in Florence because, as a jeweler, I am more interested in contemporary jewelry, but I appreciate this inside look to a classic Florentine tradition and the story of this old-timer working so many years at the bench. 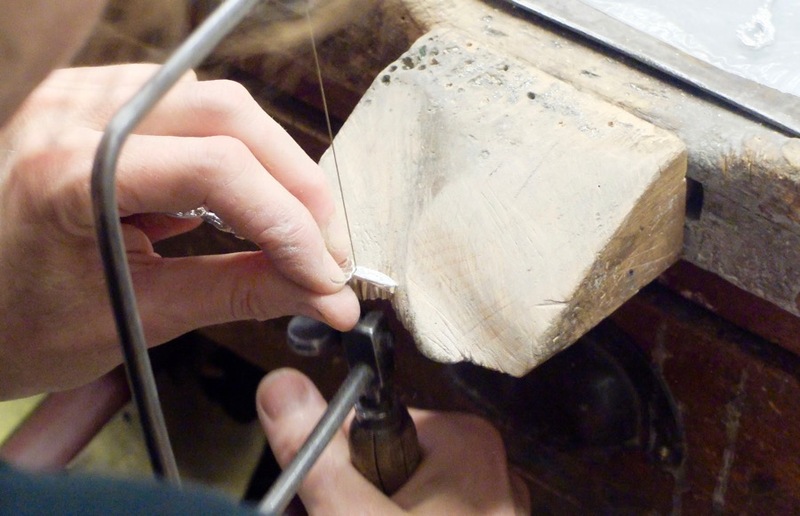 Hopefully these artisan traditions will continue with the younger generations. Hello Naomi, thanks for reading it, I appreciate that especially as a jeweler yourself, you definitely know more about this than I likely do. 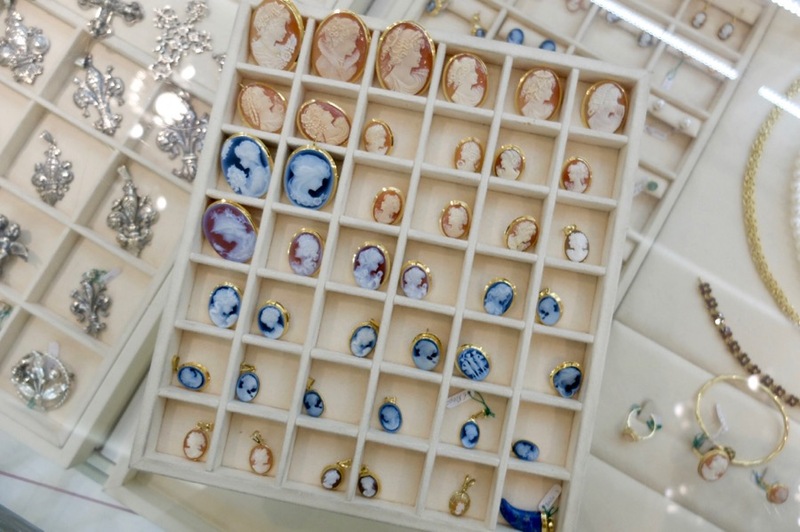 I highly recommend checking out the contemporary jewelry of the artisans over at Officina Nora, they are so talented and probably right up your alley. Ps. I hope these traditions stay too, it’s hard for them as they certainly aren’t going to make millions with this trade but they are passionate about it. Georgette- I notice the picture of the soldier viewing the destruction of the neighborhood around the Ponte Vecchio which came about from German detonations which were set before they evacuated from Florence in August 1944. Florence is undoubtedly my favorite Italian city and I have been there several times but I find it somewhat peculiar how little is known about one particular Monuments Man and all he did to preserve so much of Florentine art in 1944 and 1945. He is Lt Frederick Hartt and he rushed into the battle in July 1944 because he was determined not to allow happen in Florence what was done to Monte Cassino. Immediately upon arrival he went into the thick of a battle surrounding the castle at Montegufoni and rescued such works as Sarto’s Annunciation, Botticelli’s Primavera and Coronation of the Virgin and Ghirlandaio’s Adoration of the Magi. But it should be noted that Hartt could not have preserved all he did without the fearless and tireless efforts of Prof. Fasola from the Uffizzi and Prof. Rossi who had the title of Director of Florentine Galleries. Mr. Hartt wrote a book after the war called, Florentine Art Under Fire-which also contains some incredible photos of the destruction to the city- which I commend to anyone further interested in the topic. Mr. Hartt taught Italian Rennaissance Art after the war at the University of Virginia. He died in 1991 but in 1993 at the request of the government in Florence his family had his remains removed to the city and on March 5, 1993 he was buried with full honors at the cemetery of the Church of San Miniato al Monte. Thank you for allowing me to share this information. Wow Paul, that is quite a bit of information and fascinating. I’ll have to check out this book that you mention as I too am a fan of WWII history and basically anything related to Florence, I’m sure others who read this blog are interested too. Georgette- you don’t have to post this but just wanted to tell you that if you have trouble finding the book let me know and you can borrow mine. Also, when I got mine several years ago it was ridiculously expensive so perhaps you may just want to borrow mine. It is truly a fascinating account of all the goings on in Florence during that horrible time. Let me know. Your blog is great. I love researching places before going, and this site has been invaluable for my upcoming trip to Florence. Your writing style is engaging, and your advice is practical. Thank you! Quick question …. 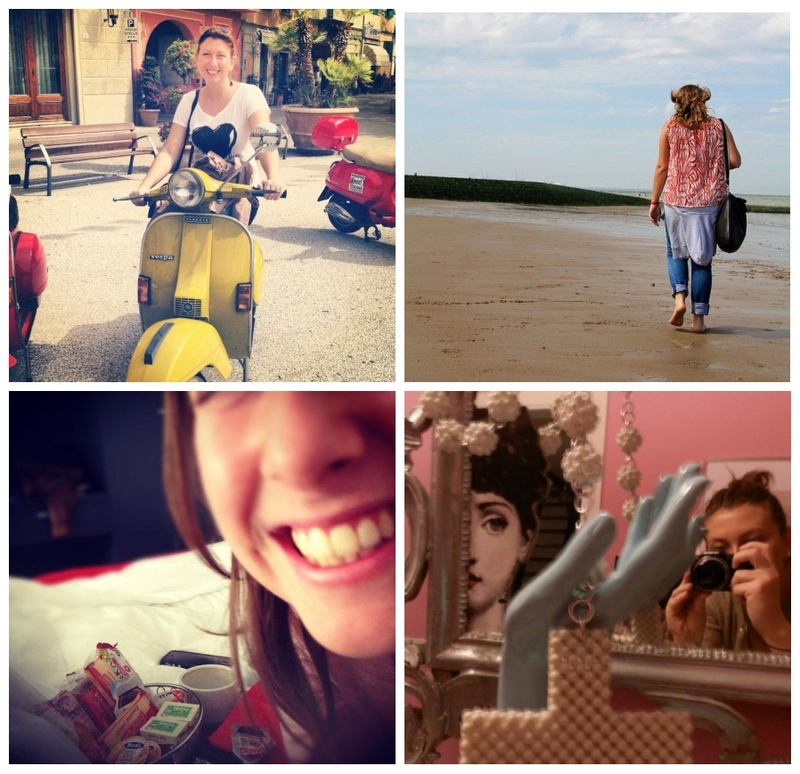 Do you happen to know of any similar info (websites, blogs, suggestions) for Venice? I can’t seem to find much. Hello Jenna, thank you for taking the time to let me know your thoughts. I am constantly working on improving it and adding more (hopefully soon including venice). 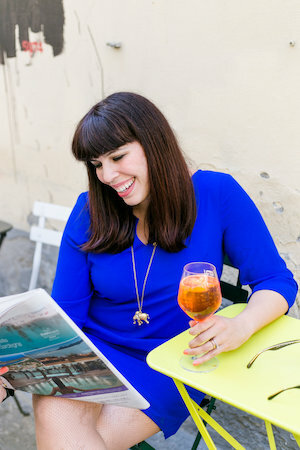 Personally I have found Monica of http://www.cookinvenice.com pretty helpful and I would check out the blogs of BrowsingItaly and Gillian’s Lists who both have covered Venice before. I hope that helps! 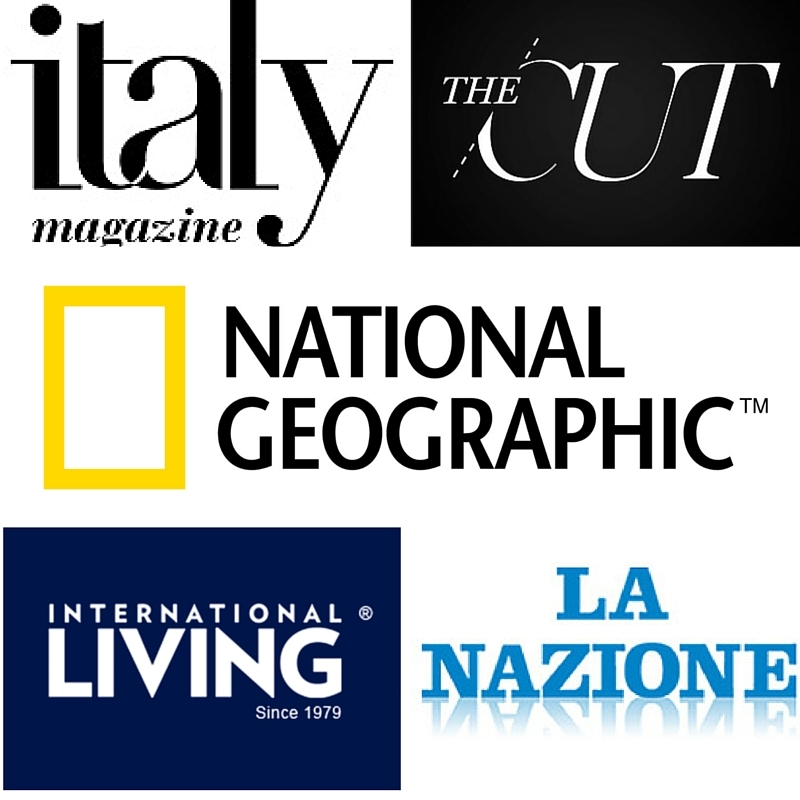 Also ITALY Magazine has some nice articles on the area as well. Thank you so much for this article! I, too, usually walk right on past the shops in the “expensive” areas. I’ll be in Florence (our third trip) the first week of November and this will be a must. We will be specifically shopping for the religious pieces you mention, so it is nice to have all these details ahead of the trip. Also, your wedding pictures are just lovely 🙂 I’m realy enjoying your blog and look forward to anything you’ll write about for things to do, see, or eat this fall. Also, to the comment/question from the other reader about Venice, I hope to have an article written by the end of August on Venice, feel free to reach out to me for details. Hello Rena, thank you for taking the time to leave me your thoughts. I appreciate it! That’s great that you are coming this November as it truly is a wonderful time to visit. 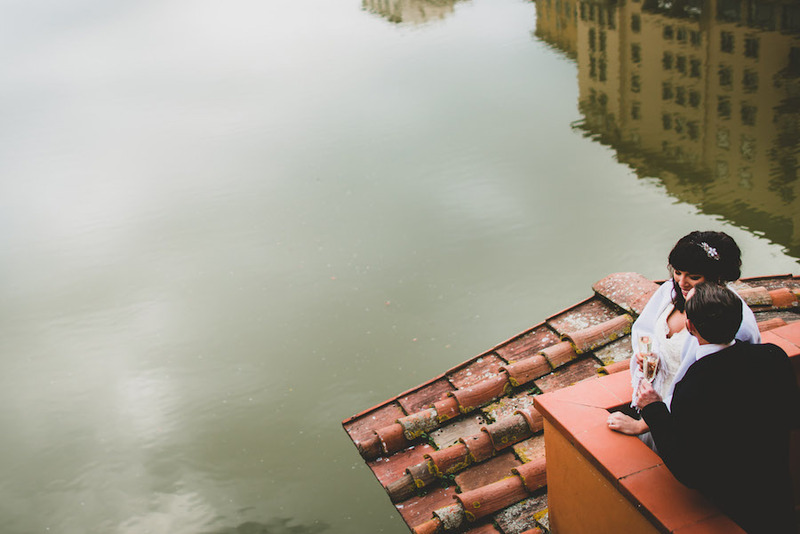 I got married in November and the vibe is just one of pre-holiday happiness, crisp weather and you won’t have to bump elbows on the Ponte Vecchio. Thanks for letting us know about Venice! I am thinking about heading there one weekend this November for a visit :).